Zero patience for yard sales or classifieds? Send us your maternity and kids’ clothes, we’ll take care of the rest. The best part? You don’t have to wait for your items to sell to get paid. Unlike consignment stores, we pay upfront! 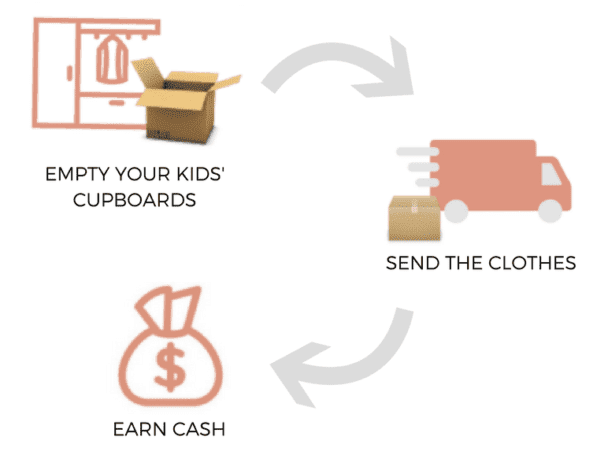 Get paid for the clothes your kids have outgrown – get started today, it’s simple and free! Error: Error validating access token: Session has expired on Saturday, 30-Mar-19 05:53:00 PDT. The current time is Thursday, 18-Apr-19 04:08:13 PDT. We are South Africa's largest online second-hand shopping website with thousands of like-new items from your favourite brands. Shop high-quality gently used maternity clothes and gently used baby & children's clothing at up to 90% off retail prices.